Euro6 engine emission regulations are extremely stringent and complying with them has cost the engine manufacturers billions. One of the reasons for this is because politicians have been disappointed that the results obtained by bench testing earlier generation engines to satisfy previous regulations have not been equalled in everyday operation. Chris Peat talks to manufacturers and suppliers to learn how they are ensuring low emissions are achieved in operation and their tips on how best to maximise the emissions efficiency of engines in service. Cummins is very aware of politicians’ concerns over real world vehicle emission levels. As such, with the introduction of Euro6, the emphasis shifted to measuring engine emissions in line with actual vehicle operation rather than the previous bench test process. Cummins recently emphasised this point at a press gathering (see B&CB 1312, 30 January 15), saying testing of its engines to the ‘World Harmonised Cycles’ now includes hot and cold running, low speed and load running, as well as both off-cycle and in service emission limits. They need to meet the challenging limits for their useful life, which is seven years. Not only do the new emissions standards involve challenging emission limits, they also require the manufacturer to ensure that the service chain can keep the engines running at the required low levels. Repair and maintenance information must be provided to third parties at reasonable costs to enable servicing/repairs to engine monitoring systems for NOx control and On Board Diagnostics (OBD). Euro6 regulations are not yet complete, with a further OBD step to be implemented to ensure the required low emission levels are met by the vehicle. Cummins, and the industry, are set to comply from 1 January 2016 for all newly developed vehicles and 1 January 2017 for all vehicles. The threshold at which a NOx emissions fault is registered by the system, requiring a fix, is reduced from 900mg/kWhr or 460mg/kWhr. For the first time a particulate matter OBD threshold will be introduced at 25mg/kWhr. Another challenging part of the new regulation is the requirement for ongoing in-service conformity testing and reporting. This means Cummins is to annually undertake real world tests on three examples of each engine family in its Euro6 range. This has to be carried out on vehicles in service, which will see it borrowing from operators for trials in urban, rural and motorway settings to ensure they still meet the emission requirements. This in use emissions reporting provision is known as PEMS (Portable Emissions Monitoring Systems). 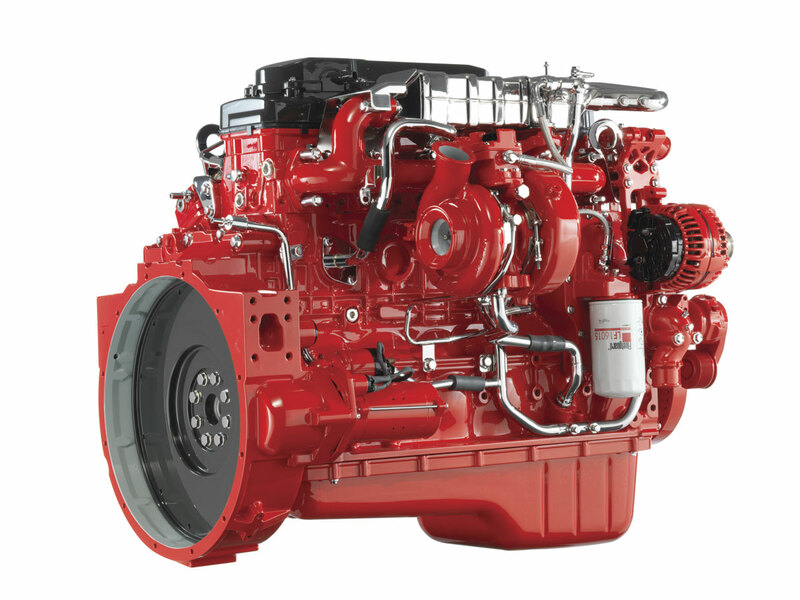 Cummins has found the choice of power rating is more critical to the vehicle’s emission levels at Euro6 than it is at Euro5. The manufacturer has discovered lower power ratios that make the engine work harder have helped achieve the efficient operation of aftertreatment systems. All bus and coach manufacturers aim to ensure their vehicles achieve low emission standards in real life operation. 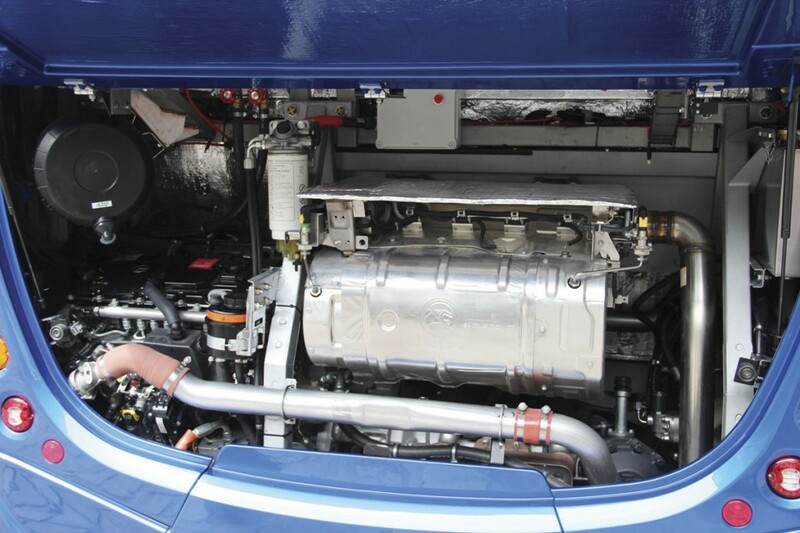 For instance, since 2005 all Wrightbus vehicles have been fitted with engines with OBD systems. At Euro4 and 5, this equipment ensures the emissions control systems are working correctly and that the emissions meet the targets under the test conditions. However, when the operating conditions fall outside the test specifications, the emissions control systems are not necessarily active. At Euro6 all engine suppliers must have OBD as part of the certification process for their product. Wrightbus, which is mainly using Daimler units for Euro6 applications, incorporates the engine OBD with the other driveline systems on its vehicles to ensure full systems integration. The OBD continues to monitor the emissions performance of the vehicle whilst in service, but Wrightbus and the engine manufacturers are now obliged to take action to enable the emissions control systems to work and comply with the emissions limits under a much wider range of situations. An example of this could be using ‘thermal management’ to increase the exhaust gas temperature and enable the catalysts to operate in a suitably efficient region to meet the emissions limits. The OBD systems still perform their diagnostics functions so that if an issue effecting air quality is identified (for example, high NOx, high PM or low AdBlue), the OBD would provide a warning and unless appropriate action is taken, Euro6 defines ‘inducement’ conditions, which can ultimately involve significant speed and torque de-rate conditions. The emissions performance is established and certified on dynamometer testing against the standard test cycles, this is then confirmed through chassis dynamometer and track tests on the vehicle against standard test cycles or routines. 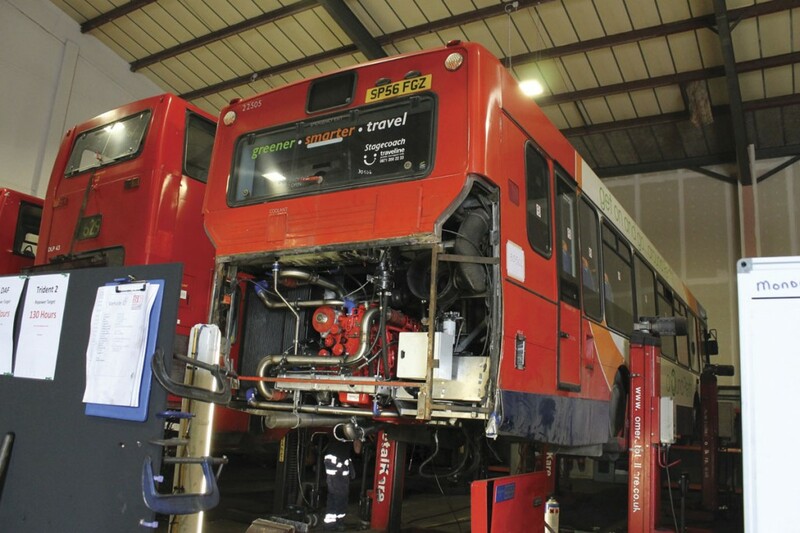 Wrightbus and the engine manufacturer then carried out PEMS (Portable Emissions Measurement System) measurements in regular driving/simulated service on normal public roads. This, it claims, confirms that the emissions control regime keeps the ‘real world’ emissions within the Euro6 limits on the vehicle. Optare Engineering Department and Product Marketing Manager, Suraj Shah, commented on how his company ensures its vehicles achieve similar low emissions performance in real life operation. 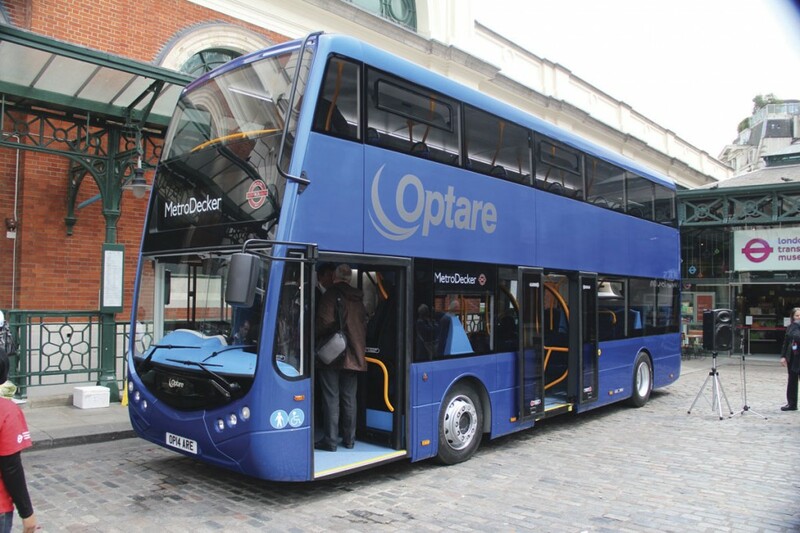 He said Optare works closely with engine manufacturers during integration of their engines into its vehicles. This is backed up by extensive testing and validation of prototypes prior to any release for production. Emissions testing is then supported with field trials to ensure performance is maintained. Manufacturers also strive to ensure their vehicles minimise emissions whilst they are in service. 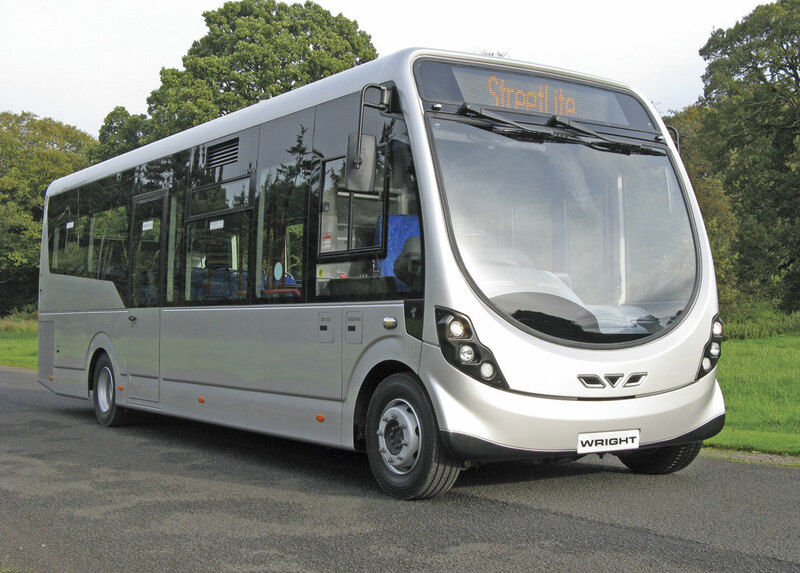 To achieve this, Wrightbus tailors the vehicle drivetrain specification to permit adequate performance for the vehicle type whilst minimising fuel consumption. For some emissions, such as CO2, there is a direct correlation between fuel used and CO2 emitted but for other emissions, such as NOx, there is no correlation. In Wrightbus’ experience, the best way to minimise fuel consumption and emissions is to integrate the various systems controls so that normal driving corresponds with a considerate driving style. Wrightbus’ Microhybrid technology incorporates additional features to improve driveline efficiency. These include inbuilt diagnostic systems to confirm their operation. One way Optare works towards achieving engine emission efficiency in service is by optimising transmission shifts by ensuring better torque response on its latest engines. Also, the manufacturer is increasingly adopting electronic intervention within the transmission to reduce parasitic loss of power. These strategies minimise engine speeds while still ensuring the engine is working within optimal conditions for the demanded torque, vehicle speed and topography, according to Suraj Shah. Suraj also mentioned performance enhancement functions, such as low carbon technology, auto idle shutdown or acceleration limitation. He said the driver can have a significant influence on engine emission efficiency, which can be improved with driver training and the introduction of driver incentives. One of the ways he mentioned of doing that is the use of driver feedback technology to improve awareness. There are a number of products available to encourage better driving, such as 21st Century Technology’s EcoManager telematics solution. The technology provider has been undertaking a series of ‘train-the-trainer’ events to support customers who have been cutting fuel costs by using this system. The solution works by recording key events during journeys, including harsh acceleration, excessive braking and G-force when cornering. These results are then used not only to give instant feedback on driving style via the cab-mounted driver display, but can also be accessed via 21st Century Technology’s web based platform, enabling drivers and depot managers alike to check their results over fixed periods with predefined levels of access. According to 21st Century, the partnership of EcoManager collated data and trainer know-how has seen some depots cut fuel usage by up to 12%. Fuel additives are an option in keeping emissions down, as well as for lowering fuel costs. 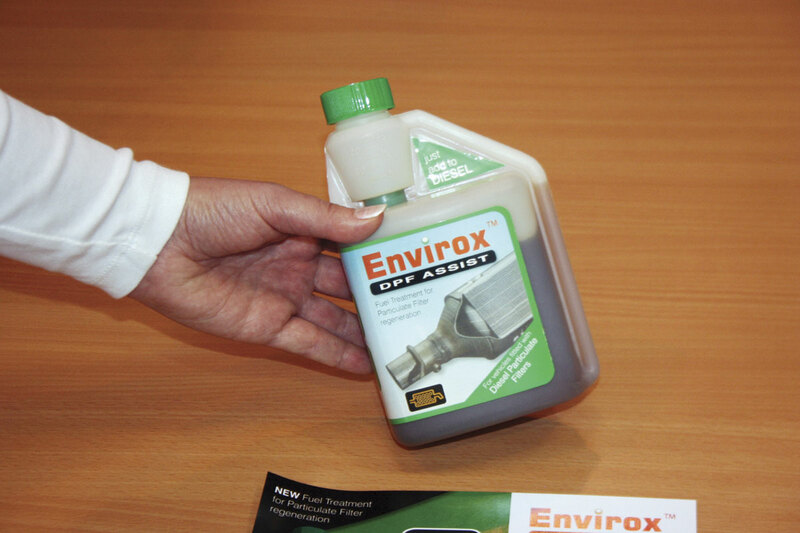 Energenics offers its Envirox product, which is designed to improve engine and exhaust system performance. 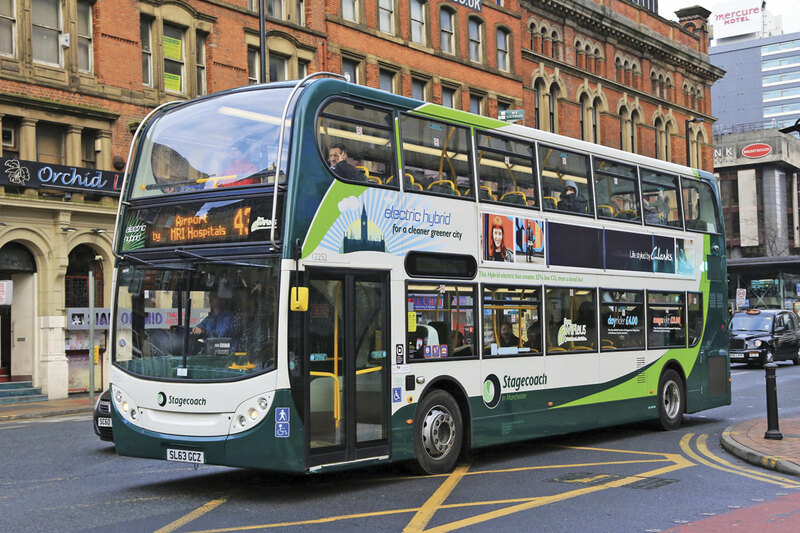 Stagecoach uses it and has reported achieving CO2 reductions of 5% annually. The operator has adopted the fuel borne combustion nanocatalyst for diesel fuel. Wrightbus suggests care should be taken with the selection of any fuel additives to check they are suitable for Euro6 vehicles and that they are approved by the engine and vehicle manufacturer. Needless to say, maintenance is important in general, but especially so with ensuring vehicles are running as efficiently as they can be, particularly at Euro6. Wrightbus highlighted the importance of diesel particulate filter (DPF) cleaning to ensure the build up of soot and ash in these devices does not affect the exhaust system’s performance. This detritus should burn off automatically if the DPF is working correctly, but some operating conditions (notably start-stop services) do not allow this. If the latter is the case, then manual regeneration may be required. Wrightbus provides driver warnings for this and depending on the vehicle type, this may be carried out by the driver or by maintenance staff. Wrightbus emphasised the importance of remembering the proper maintenance of other components too, especially cooling, AdBlue and fuel systems. Vehicle lubricant quality and oil change intervals are very important at Euro6. The manufacturer suggests very ‘low ash’ lubricants are used and oil change intervals should be strictly adhered to. If this is not carried out the life of catalysts and components such as EGR systems may be compromised. 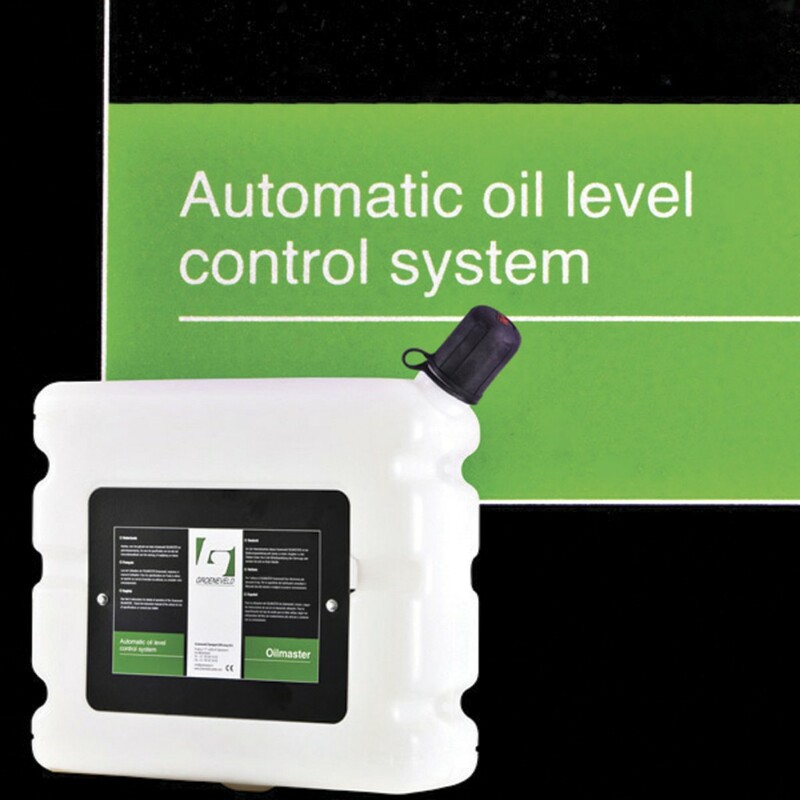 One way to ensure oil levels are kept optimal is by using Oilmaster from Groeneveld. The equipment automatically detects the oil level of the vehicle it is fitted to and distributes more of the lubricant when and where required. This ensures a better running bus or coach, which in turn ensures cleaner emissions. Similar advice in terms of keeping all systems working properly to ensure low emission standards are consistently met was given by Optare. The manufacturer suggests all routine maintenance is followed and the use of OEM specification parts and lubricants. Selection of lubricant grades is also important, ensuring they match the operating conditions and ambient temperatures. Suraj said to ensure ancillary systems are functioning optimally, make sure there is no radiator clogging or air system leakage and there are no excessive electrical loads. No matter how well maintained a vehicle is, many older vehicles just cannot match the emission levels achieved by newer models. Some tendering authorities, notably TfL, are now insisting on vehicles used on their contracts meeting enhanced emission standards, while London also has the LEZ and plans to have a ULEZ. In such cases, meeting the requirements does not mean existing buses and coaches have to be disposed of though, they can still play a part in the fleet after some modification. Smiles Engineering offers a solution for this with its engine repower package. The company says it can achieve savings in fuel of up to 30%, which when considered alongside the vehicle’s life means payback on investment can be less than three years with vehicles fit to continue operations for up to ten years. It is not just older vehicles it works on though, it has solutions for all ages. Smiles Engineering MD, Gordon Mockett, said that one of the reasons why some SCRT and other exhaust systems are not achieving the results expected is because the vehicles are not reaching the required engine temperatures when in service. He said such systems can also increase fuel consumption and up costs with extras such as AdBlue. Engine repowers however, do not have this issue. Smiles Engineering has a strategic partner agreement for engine repowers and a service level agreement with Cummins UK. It retrofits engine repowers up to Euro5 levels, carrying out all mechanical engineering and electronics integration. It also works with technology partners, incorporating complementary clean technologies for additional reductions in emissions and fuel usage. For instance, the company has extended its agreement with Grayson Thermal Systems to continue as the air conditioning and heating specialist’s northern service facility, installing the provider’s E-drive systems alongside its engine repower retrofits. The device is intended to reduce operators’ fuel use by up to 15%. Avid Technologies offers the E-fan system micro-hybrid system which reduces the power requirements of the bus and provides improved cooling and it will also retrofit its systems on existing vehicles. We have looked at how standard diesel bus and coach engine emission efficiency can be maximised in service, but what about hybrid and other alternatives to diesel vehicles? Smiles Engineering has the capability to provide retrofit options for electric vehicles coming out of their maintenance contracts. It also develops integrated hybrid systems to reduce parasitic loads on the engine from ancillaries, such as air conditioning, water cooling and pumps. The company has formed a partnership with a European supplier of electric and hybrid equipment, carrying out the installation of its technology. Gordon Mockett said their systems are designed to be up to 40% more efficient than others on the market and could have a vehicle working life of up to 20 years. Retrofitting this, he believes, will combat what he describes as the high costs associated with hybrids and electrics coming out of warranty. Once hybrid systems are fitted, how can their energy savings be maximised in service? 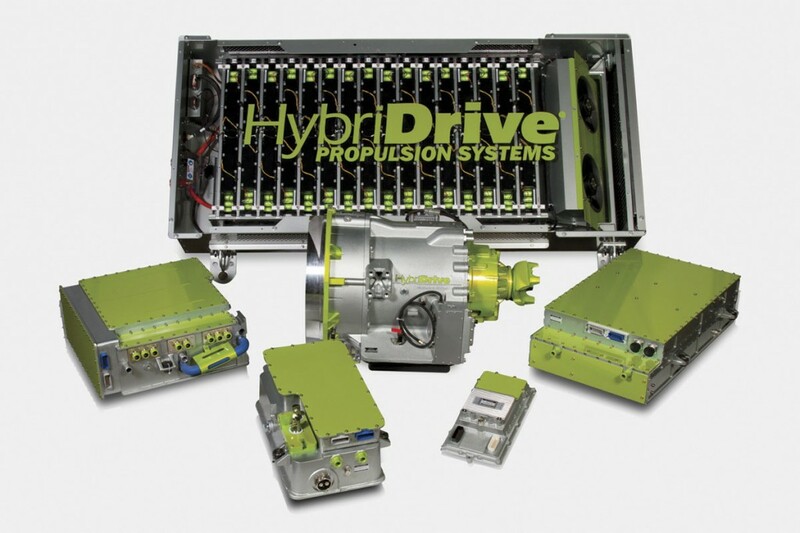 BAE Systems developed the HybriDrive system, the power unit used in ADL hybrids. Bart Mancini, Senior Principal Systems Engineer for HybriDrive Solutions at BAE Systems, gave a couple of suggestions. Firstly, he suggested moderate and smooth acceleration and deceleration be practiced by drivers, as is the case with diesels. When it comes to translating test cycle results to real life with HybriDrive, Bart said it is best to test in real life conditions over long periods of time. He claims this averages out all of the variations and fluctuations due to driving habits, weather, accessory utilisation, passenger loading, traffic and other factors. Being unable to conduct long term tests with multiple vehicles, the company relies on specifically defined short duration drive cycles. In these cases, sticking to the drive profile is critical, as is ensuring that production software, controls and settings are used so as not to make adjustments or ‘beat the test’. The one major shortcoming of drive cycle testing is that most often accessory loads are minimized or excluded to the maximum extent practicable. This last aspect will generally result in superior fuel efficiency than in-service, especially for vehicles with high parasitic loads, such as transit buses and coaches. In general, one of the best ways to maintain the HybriDrive System’s performance is to ensure general maintenance of the vehicle is kept up. Specifically for the hybrid, Bart suggests making sure the battery energy storage is in good working order and able to accept regenerative energy. Hybrids may be becoming an ever more common site on roads, as are electrics, but one of the most common low emissions technologies seen on PCV fleets remains the Diesel Particulate Filter (DPF) and other exhaust systems. Efforts have to be made to ensure these are running as efficiently as they can to keep the engine’s emissions low. Regular cleaning of the filters must be carried out, particularly on start-stop operations. This is a specialist service and one company offering it is GreenUrban. Brian Firth from GreenUrban said that coaches making long distance runs will ‘probably never need servicing’ to get rid of built up soot. 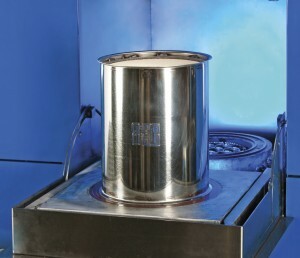 However, vehicles on start-stop operations, such as school runs and some local bus services, do not always generate enough heat in the exhaust for the regeneration process to fully burn off the soot, leading to build up and eventually blockages in the DPF causing inefficient operation. The cleaning process Brian’s company can carry out involves firstly examining and pressure testing the filter to get an idea of how badly blocked it is. Any loose detritus is then removed and it goes through a ‘baking’ system for anywhere up to six hours, depending on how much blockage there is and what material it is made out of. It is left to cool down and then pneumatically cleaned in a steel chamber. Once probe tested, it is re-canned and sent back to the operator. GreenUrban can provide a replacement filter unit whilst the DPF is in for cleaning. It can recover any type of exhaust or offer a replacement. GreenUrban offers its own series of exhaust systems. These units feature a sensor that detects and warns when the filter becomes blocked, prompting it to be cleaned to ensure reduced emission levels are maintained. Its systems can be used to reduce Carbon Dioxide (CO2) using DPFs or CO2 and Nitrogen Oxide (NOx) with an SCR (selective catalytic reduction) system linked to a DPF. There is a lot of focus on reducing NOx at the moment, according to Brian. 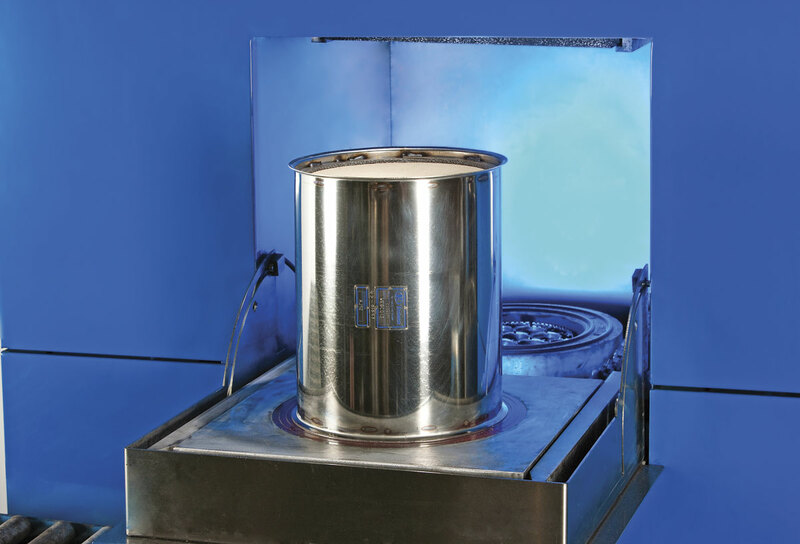 Beyond exhaust systems, GreenUrban also provides fuel additives. When it comes to DPFs, key to ensuring they provide the optimum performance in helping lower emissions is for their manufacturer to test the devices in real world conditions. Marketing Manager at Eminox, Kathye Henderson, said this is just what the exhaust system specialist does. The business uses the Milbrook London Transport Bus (MLTB) test route at Millbrook to ensure its products actually achieve the emissions reductions it promises. The track is based on an actual TfL bus route. It also trials the equipment with operators to ensure they work in real world situations. Kathye also stressed the importance of cleaning DPF filters to ensure they operate efficiently, which is a service Eminox provides. It uses its Xpurge system for this, providing a replacement filter to reduce vehicle downtime. The company’s products feature a green, amber and red warning system for customers to monitor the amount of blockage the system is experiencing. The company’s SCRT system combines a DPF with an SCRT for the reduction of CO2 and other pollutants, as well as NOx. Kathye said it is important to clean the DPF part of this device, as mentioned above, whilst regular maintenance is required for the injectors. Another company that knows DPF systems, as well as exhaust products in general, is Dinex. The company claims to be the only manufacturer in the world that develops and produces in-house coatings and ceramic substrates for particulate filters. It also produces all the vehicle specific metalwork to complete vehicle emission control applications. The business can provide solutions for achieving Euro6 and has knowledge of not only developing this equipment, but integrating them into vehicles too. Bus and coach engines have never been greener, with Euro6 heralding even more stringent standards and manufacturers making every effort to ensure their vehicles run as efficiently as possible in real life situations. Hopefully politicians will recognise the leaps and bounds being made in this area and further recognise the PCV as one of the most environmentally friendly forms of transport available. However, the responsibility of changing politician’s perceptions is not just down to the manufacturers, as ensuring fleets are maintained properly is as important in keeping vehicles running efficiently. operators in the UK have not purchased this “stop-start” hybrid system. efficiency and ride for passengers. reducing fuel and emissions with hybrid or non-hybrid buses.